Lotus range in size from dwarf (12-18") to large (4-6'). Colors are typically white, yellow. pink, red and combinations of color. Every once in a while they lose their tags here and become unidentifiable. 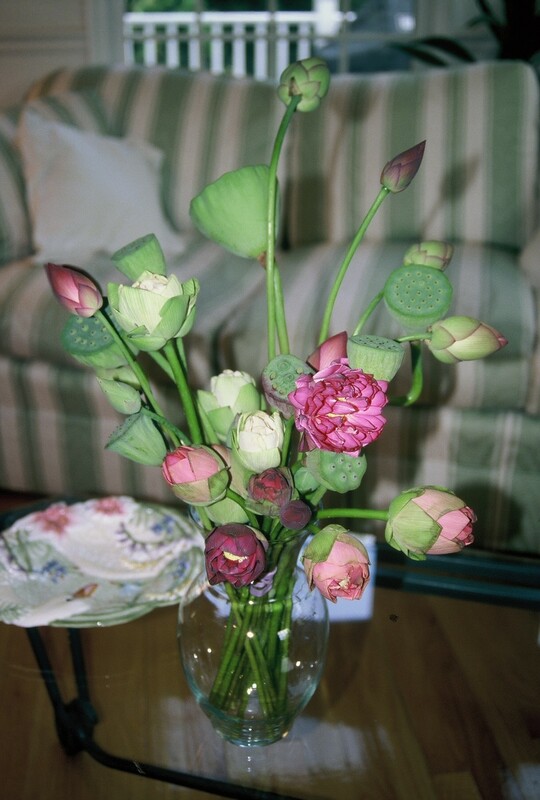 We are fond of all the varieties we offer and therefore feel comfortable offering unknowns as 'Surprise Lotus'. You just don't know what magic you'll get!